The concept of lean manufacturing isn’t new. For decades, manufacturers have implemented lean programs into their processes and many have reaped the benefits of more efficient processes with less waste. Like all manufacturers, the pharmaceutical industry has embraced the principles of lean. In recent years, it has become clear that areas beyond manufacturing, such as laboratory quality control (QC), can benefit from the application of lean. Since the very goal behind being lean is to eliminate waste, minimize error and drive quicker, more impactful end results, it’s not hard to see the benefits. Understanding the basic principles of lean and knowing the areas of waste that need to be eliminated are the first steps to developing a strategy for lean in QC labs. In order to apply lean practices to your lab, it’s important to understand where to start. In this edition of a three-part series, we will examine the main principles of lean. 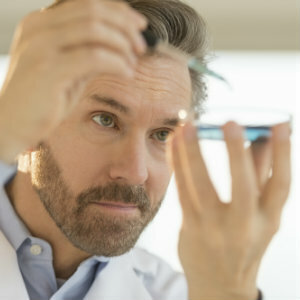 The first principle to going lean is identifying the value of the product or process for which your lab is responsible and how that product or process relates to the customer. For the QC lab, the customer may be the manufacturing team or warehouse.Those stakeholders will look to the lab for the results of the product or tests, so they can take the product or process to the next step, which could be the next manufacturing step or could be a release for shipping. Once the value is identified and you understand what is expected of the product or process being addressed, it’s important to look at your current process—often referred to as mapping the value stream. This step involves looking at everything that goes into the product or process from activities and materials to personnel and information requirements needed. In the case of the lab, these are the activities being performed to provide test results to the rest of the organization. By mapping the value stream, you can identify and work to eliminate areas of waste. When you learn where your waste areas are, the next principle is creating a flow in the process with the goal of eliminating the identified waste. Here, the goal is to ensure the process can be reproduced so you can continuously expect the same results. This will keep the value stream tight and the process efficient. It’s important that the flow is as linear as possible and there aren’t too many loops or distractions. In a lean environment, the goal is to move from a push environment to a “pull” environment. In traditional manufacturing, this would mean responding to only the demand versus producing quantities related to the size of the equipment being used. Making this change reduces waste in resources, inventory costs and more. Finally, it’s critical for QC labs to look for continuous improvement. The process may not be perfect the first time, so it is important to regularly review the flow and strive to perfect it. This will help eliminate waste and allow you to revisit the process down the road to implement improvements. By mapping out your value chain and creating a process flow, you will be able to identify the areas of waste that can be eliminated. In the second edition of this series, we will touch on the main types of waste found in QC labs. To learn more about lean initiatives, check out this article by Kevin Walsh of Rapid Micro Biosystems.